Intrigued to see Java & .NET tracks together at one conference? Well, we say “Make code, not war”. Technologies are moving towards each other and our goal is to provide a place for technologies dialogue and create a meeting point for developers in the Baltics! Discussion zones about .NET, ASP.NET Core, Microservices, C#8. Fun & interesting activities at stands of Top IT companies. 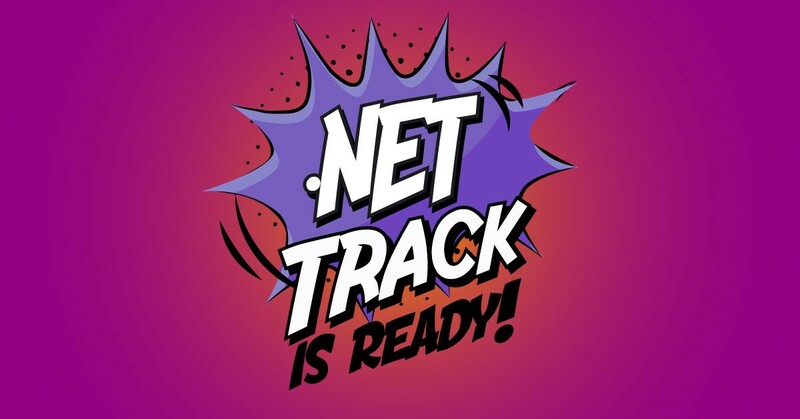 Simply put, .NET track is ready! The dependency injection system of .NET Core is very elaborate and allows for complex inversion of control scenarios. You will see the ins and outs of doing that, but also learn how to avoid mistakes that might be easy to miss. After this session, you’ll be ready to implement a token service in ASP.NET Core. And you will understand how to make use of the more advanced options. Cloud Developer Advocate at Microsoft will show some of the capabilities in ASP.NET Core for developing and consuming Web APIs. Some things include OpenAPI support, content negotiation, working with HttpClientFactory and some other interesting features! In this session, you will take a step back and realize how easy it is to create useful diagnostic analyzers and code fix providers to solve real-world problems that do not require a PhD in Math. Nullable reference types, asynchronous stream, switch expressions, ranges, default interface implementations and more. In this talk, you’ll take a look at some of these features, dive into demos, and see how they will help improve your developer workflow. Thanks to Visual Studio 2017, porting existing ASP.NET Core solutions to containers is a breeze. This talk will showcase a possible approach to containerise an existing solution, deploy it to AKS and integrate it with Azure DevOps and the PaaS offering in Azure. Dennis will show some of the pros and cons of microservices and how you can leverage OWIN, .NET, Event Sourcing and the Onion Architecture to gradually move your monolith into a bright new future. A live coder, educator, and researcher will show how code generates music. Red Hat Director of Developer’s Experience will dive you into the world of microservices The next generation of microservices will leverage sidecars, a service mesh and on-demand serverless services. Let’s see what are the directions that the programming field is evolving in. Do you know how it feels to live across multiple languages, platforms and storage systems? By the end of the conference and this conversation, you’ll have a better idea of where you want to fit on the ‘polytechnical’ continuum, and how to make the necessary steps to get there. And to be sure that you will get most of the conference, have a look at the Workshops day. Intense, full of useful hands-on practices, 8 hours with computational philosopher or Microsoft Press author and .NET Core Expert! We can’t take out a single word from this brilliant description! C++ was widely denigrated as a “hopelessly complex” language with “way too many moving parts”, and in truth, it was a language made up of three dominant paradigms: procedural, object-oriented, and meta-programmatic. C#, by contrast, has five dominant paradigms: procedural, object-oriented, meta-programmatic, functional and now dynamic. (Visual Basic doesn’t fare much better on this score.) If we’re to use these new multi-paradigm languages successfully, we’d better have a good idea of what the paradigms are, what a language paradigm is, and what the different paradigms are in the languages we know and love. In this workshop, we will explore all five design approaches, and see how each works, hands-on, to solve problems. It’s a bit problematic for everyone to condense in one day the major facts around ASP.NET Core and be insightful and comprehensive at the same time. This workshop is structured to upgrade your web programming skills to the latest version of ASP.NET Core. The main takeaway is learning how to do the same web-related things you know how to do in your favorite environment in ASP.NET Core. All the program see on the website!